Ancient monastic sites- church, beehive cells, a hermits cave. Wildlife like you would not believe- otters, seabirds, seals, corncrakes. Nearby ospreys (seen on the return.) Also- a complete absence of ticks and midges! Sun- three days with barely a cloud. Sure, it was windy, but mostly gloriously warm. Warm enough for diving into the sea for some of us! We sat round fires, walked out meditations and laughed a lot. 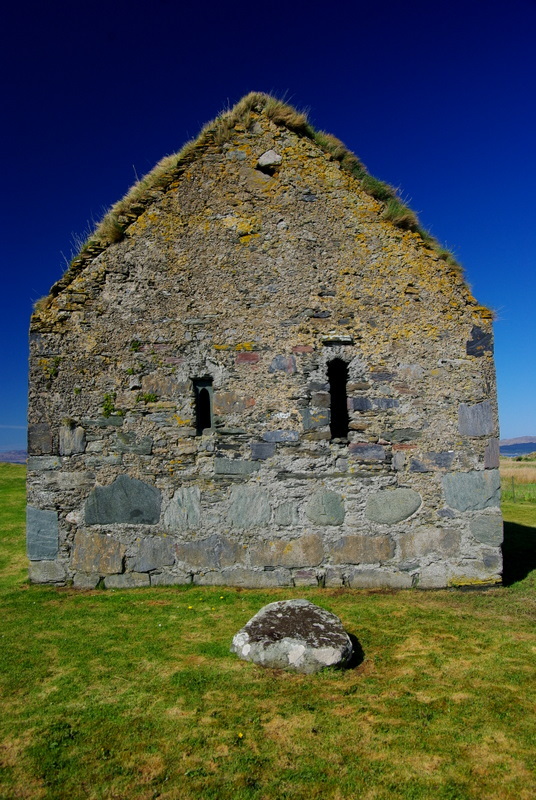 This entry was posted in photography and tagged aoradh wilderness retreat 2011, celtic monastic sites, eilean mor, inner hebrides, the mccormaig isles by Chris Goan. Bookmark the permalink. That looks incredible. Beautiful photos, too. Lovely. I sailed out there in August 2012 in a little ‘mirror’ dinghy from the mainland for a little pilgrimage of my own. Good job.